For the past 4 years we have hosted Christmas dinner at our house. My family comes early Christmas morning and the house is instantly filled with laughter as we sip our coffee and open gifts . Normally, for breakfast, we just indulge in left over cookies and pie from the previous nights Christmas eve party. This is remarkably satisfying but I have always wanted to make Christmas breakfast for everyone to enjoy. Something they would look forward to Christmas morning. I want the house to smell like Christmas when they walk in. Whatever I choose to make has to be something quick and easy considering I also have to prepare my turkey for Christmas Dinner. 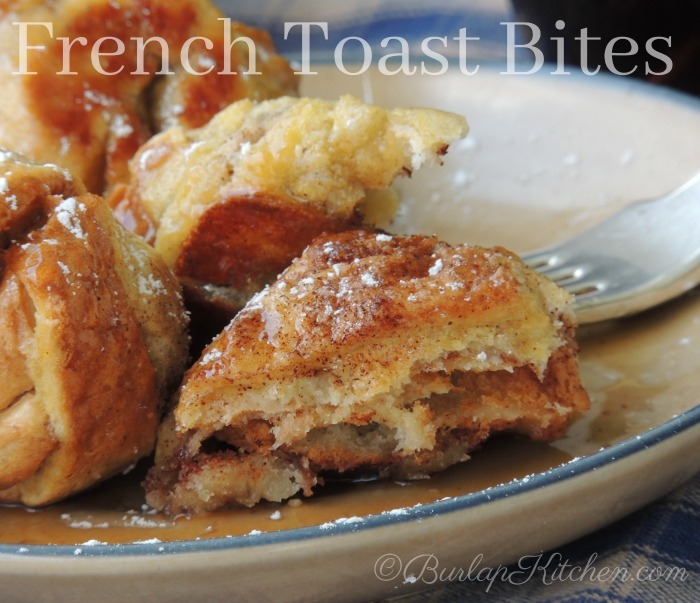 Thankfully, I found this recipe for cinnamon toast balls and have slightly adapted it into what I like to call French toast Bites. 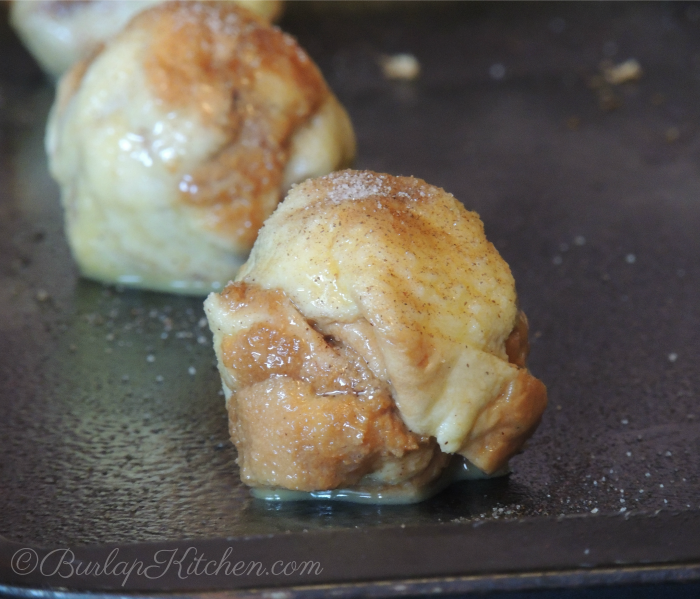 French toast bites are baked and it frees up my stove top so there is no need to hover over the stove watching them. Let’s face it, Christmas is for spending time with family not in front of a hot stove. Sprinkle each bread slice generously with cinnamon sugar mixture: You can buy this already made or make your own by adding 1 tablespoon of cinnamon to 1/2 cup of sugar. If you make this recipe or any other recipe from BurlapKitchen.com I would love to hear from ya! 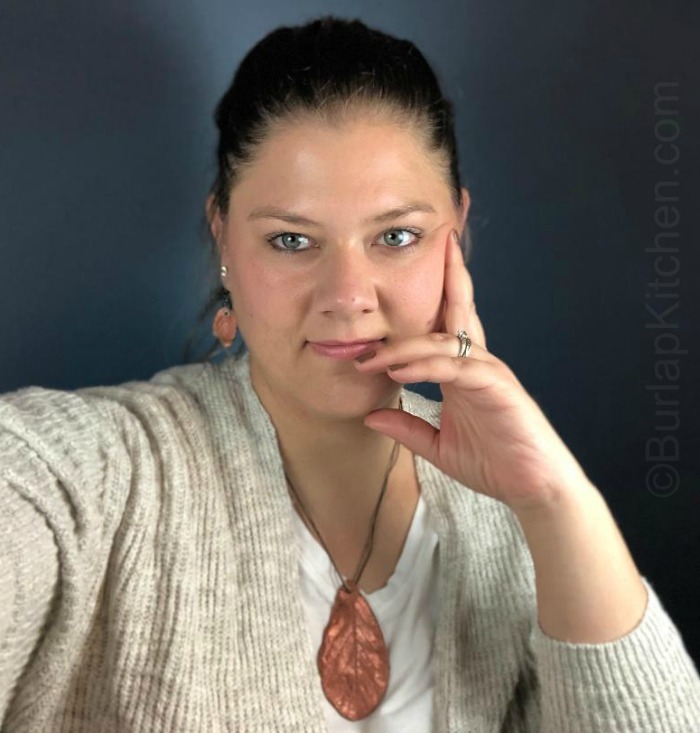 Just send a message via face book or email me @ Burlapkitchen@yahoo dot com. 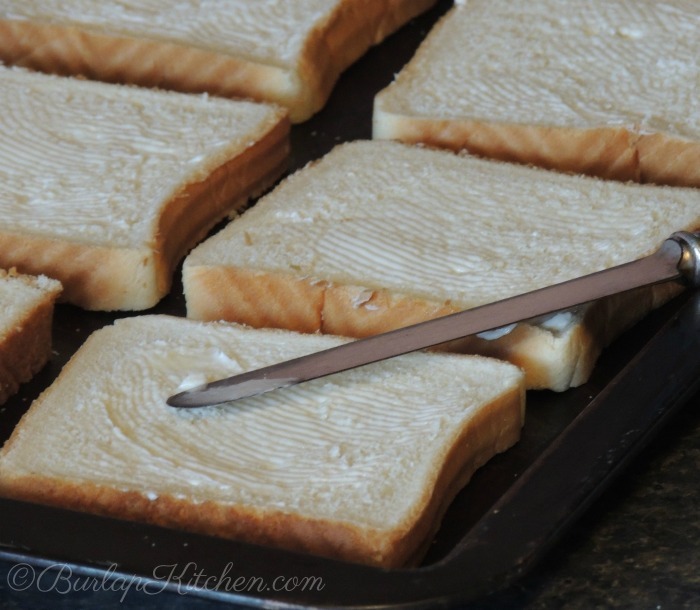 Spread each piece of bread with butter on one side. Sprinkle buttered side of bread generously with cinnamon sugar mixture. 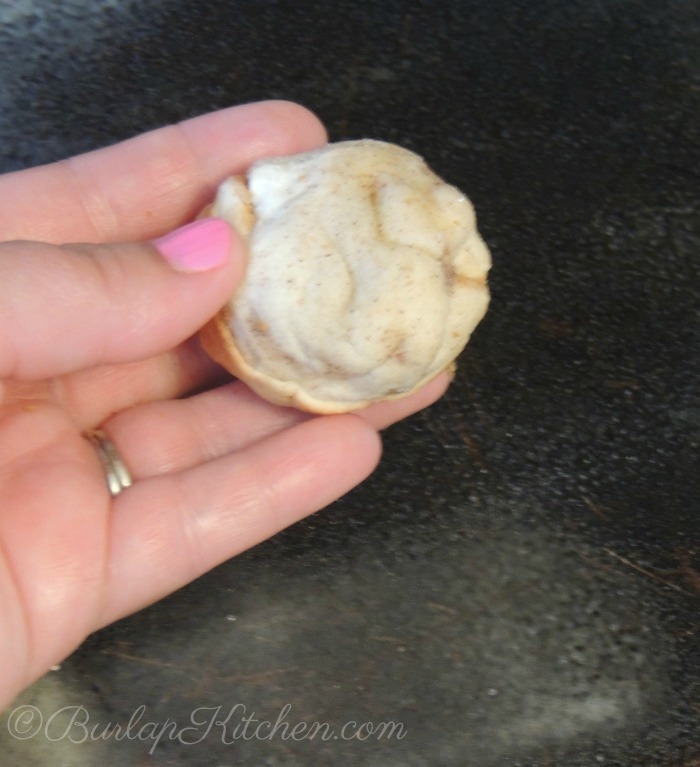 Smoosh each piece of bread into a ball. Crack eggs into a small bowl and add 1 teaspoon cinnamon sugar mixture to the eggs and whisk well. 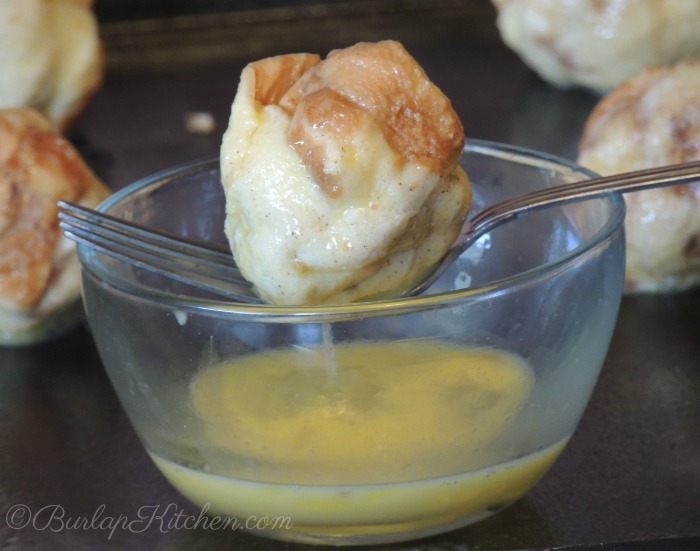 Dip each ball into the egg mixture, using a fork, drain off excess. 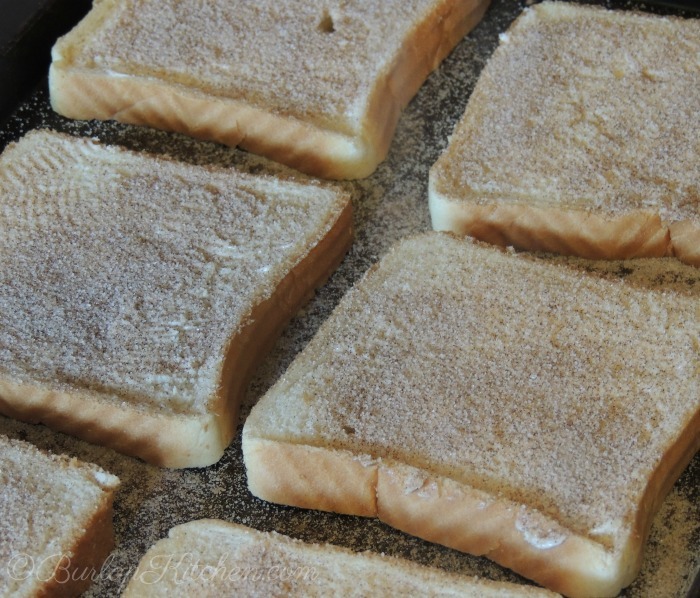 Place french toast Bites onto a greased cookie sheet and bake at 350 degrees for 30 minutes flipping every 10 minutes so they brown on all sides. Drizzle with syrup.